Harry Wright was born on 23 November 1912. A woodwork teacher before the war, he enlisted at RAF Padgate on 12 July 1940. In this studio portrait there’s no hint of trade, rank, or date. The spick and span uniform and the very settled air have the look of a Home service shot, perhaps on Service entry or before embarking for overseas. Originally selected for aircrew, between July and November 1940 he was stuck with training as a Wireless Operator (Ground) through 10 E&WS Blackpool and on to 3 E&WS Compton. There he was able to get posted at last for for Wireless Op (Air) training at 2 E&WS Yatesbury. In January 1941 Wright was posted to Waddington in Lincolnshire. There, 207 Squadron were struggling to operate with their Manchesters (the exotic RR Vulture engines being very troublesome) while 44 Squadron were very active with their Hampdens in the early night raids on Germany. For a time, he worked happily with wireless maintenance for an operational Squadron. From Waddington, in February he moved to 9 Bombing and Gunnery School at Penrhos in Wales, where the flying types were many: Battles, Blenheims, Henleys, Harrows and Whitleys among them. At 9 BAGS, he qualified as a Wireless Operator/Air Gunner and was posted from there to Horsham St Faith, attached to 139 (Jamaica) Squadron for a time. The Squadron was so named in 1941, to recognise Jamaican fund-raising efforts sufficient to pay for production of no less than a dozen Blenheims. Having taken a great battering in France in 1940, by 1941 the Squadron had re-gathered its strength and was operating by day and by night against German occupied ports and airfields. By July 1941 Harry Wright was at 13 OTU, Bicester for a Blenheim Operations Course. After some muddle and delay, his course proceeded and it was at this time, as a new Sergeant WOp/AG, that he crewed up for a time with Pilot Officer G Mockridge, later of 114 Squadron, 107 Squadron, and 211 Squadron. However, Harry Wright was unfortunate in encountering successive crewing changes at this point, whether through OTU or 107 Squadron difficulties is not entirely clear. Together, they managed “about 40 ops” with 107 Squadron on Malta GC. The tale of those valiant days, mounting daylight low-level anti-shipping attacks and ground strikes against Axis forces in Italy and North Africa, has been told by RE Gilman DFC DFM in The Shiphunters. At the time, Blenheim Squadrons of 2 Group were being sent to Malta in rotation, notionally on relatively short detachments before returning for Home service. The Island was under frequent, heavy air attack by the Luftwaffe and Regia Aeronautica, RAF losses were heavy, particularly among the Blenheim Squadrons. In early January 1942, having taken a fair mauling in the defence of Malta, the 107 Squadron detachment was withdrawn, not to the UK but to Egypt where it was effectively disbanded. By then, four of the existing Middle East Blenheim Squadrons were in the process of being raised in strength before flying out to the Far East, for operations against rapid Japanese advances in Burma and Malaya. Thus a number of 107 Squadron men came to serve with 211 Squadron: Devenish, Joerin, Mockridge, Williamson the Australian, Wright himself, and Sgt Smith. In February, 21 Squadron air and groundcrew from Malta were likewise diverted for Blenheim service in the Far East: Bob Dagnall, for example, went to India and 60 Squadron. So in January 1942, having flown from Malta to Fayoum, Harry Wright was sight-seeing in Cairo when his crew’s posting to 211 Squadron was ordered. He joined the Squadron at Helwan briefly, to get the gen and kit-up, before leaving for Port Tewfik on 16 January. Apparently with his pilot Williamson and Sgt Smith, he was to board HMT Yoma sailing the next day for the Far East with the 211 Squadron groundcrew and other spare aircrew, some 400 men in all. A similar contingent from 84 Squadron was also aboard. Like others of the Squadron, he assumed their destination was Singapore but, by that date, it had already been decided to base the bomber units slated for Singapore’s defence in Sumatra, in order to avoid congestion on the remaining airfields in Malaya (and perhaps to give them some security against air attack). Sailing via Aden and Colombo, and from there as part of Stepsister convoy JS1, Yoma reached Oosthaven in Southern Sumatra on 14 February. After the briefest of stays and with the airmen of both Squadrons aboard, she departed for Tanjong Priok, the port of Batavia, arriving on 17 February. In the month Yoma had been at sea, 211 Squadron aircraft had reached Palembang where, operating in difficult weather in the teeth of the Japanese advance, they had already taken heavy losses. Bateson and his remaining crews withdrew to Batavia on 16 February and on to Kalidajti, where 211 Squadron, 84 Squadron and their remaining Blenheims (with those of 34 and 62 Squadron) were regrouping to mount operations against Japanese-occupied Sumatra as hard as their state of repair and few aircraft would allow. It was to Kalidjati that Sgt WOp/AG Harry Wright was now posted but not with his own 211 Squadron crew: Williamson and apparently Smith remained with the Squadron. In 84 Squadron, Sgt Douglas James MacKillop 1180421 had flown from Egypt in Blenheim Z9586 with his Observer Sgt John King 919088 and WOp/Gunner Sgt Maurice Morris 406304 RAAF. They had had some high-octane operational experience on Sumatra, however, in Java Morris was no longer available. Perhaps ill or injured, he was evacuated from Java aboard HMT Yoma when she sailed for Colombo on 20 February. Among her passengers were some surplus RAF personnel including 132 men of 84 Squadron. 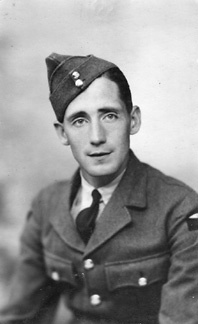 Morris, of English birth, went on to serve with 82 Squadron and 191 Squadron in India. Commissioned in 1944, he survived the war. Repatriated to Australia in January 1945, he left the RAAF in November 1945. Within a few days, Harry Wright replaced him and from then on, existing accounts like the Stubbs’ Unsung Heroes of the RAF and Neate’s Scorpions Sting show Harry as an 84 Squadron man. Following the pooling of aircraft to 84 Squadron ordered about 24 or 25 February, it was the Scorpions who remained at Kalidajti to mount operations until 28 February, only withdrawing when the airfield was over-run on 1 March. The chaos of this period is well-described in Scorpions Sting. Somehow, MacKillop, King and Wright acquired a “new 30hp Chevrolet”, in which they sallied off to Bandoeng, where most of the Squadron had arrived by 1 March. On 4 March, orders were given for all 84 Squadron aircrew to proceed to the South coast port of Tjilatjap, where MacKillop, King and Wright arrived after an all night drive. The hope was that the Squadron might still be evacuated as a unit. However, at Tjilatjap, Tung Song had already sailed in the early evening of 2 March with her crew and 200 or so evacuees aboard, bound for Fremantle. Among them were 65 aircrew and groundcrew of 211 Squadron (including Williamson and apparently Smith) but just 10 groundcrew of 84 Squadron. Strenuous efforts had been made to evacuate essential personnel and to clear the port of shipping to deny it to the Japanese, to such effect that the last vessel of reasonable size to quit the port left on 3 March 1942: MV Janssens of 2071 tons sailed that night with some 450 persons aboard, twice her usual complement. She too reached Fremantle safely on 13 March. Substantial parties of 84 Squadron men were at Poerwokerto and at Bandoeng, where some came under fire attempting to reach Tasikmalaja airfield by train. Jeudwine and about 60 aircrew were now left in Tjilatjap. He set about trying to organise an escape by sea, acquiring a motor launch and two ship’s lifeboats. In these, they left Tjilatjap late at night on 6 March but encountered difficulties in managing their craft, under tow by the launch. Attempting to shelter in a cove on Kambangan Island, at the river mouth adjacent to Tjilatjap, disaster struck. As they neared the shore, the launch and one lifeboat were wrecked, though without casualties. Regrouping ashore on Kambangan, Jeudwine decided to make the trip to Australia with a much reduced volunteer crew in the one remaining boat. At dusk on 7 March, Jeudwine, four of his officers and seven RAAF Sergeants set off in the lifeboat for Australia, leaving some 50 men of 84 Squadron on the island aiming to wait there for two months, in hope of rescue from Australia by Jeudwine’s efforts. Perhaps as many as 350 men of 84 Squadron were taken captive on Java, although as Neate observed, it is difficult to be certain of the exact number. Further attempts at escape or even to venture from the island were unsuccessful. Sgt McKillop and Hugh Hough, for example, set out from the island in a small boat that had been recovered, but soon they were overwhelmed by bad weather and were cast ashore, to be taken captive the next day. Sadly, MacKillop, by then Warrant Officer, lost his life in the sinking of the Suez Maru on 29 November 1943 (all 548 British and Dutch FEPoWs aboard perished—214 of them RAF). Two other parties, attempting to forage over on the mainland, came to shocking ends. These events have been recounted vividly in Campbell and Lovell’s So Long Singapore, in Charpentier et al Global Warrior, in Neate’s Scorpions Sting, Shores & Cull’s Bloody Shambles Vol II, and elsewhere. Of the end of this period marooned on Kambangan, Wright had this to say. It was 14 April 1942. Unfortunately, Daly died in Tjilatjap Hospital that day. Wright himself remained in hospital for some weeks, before being sent to Bandoeng Camp. Jeudwine and his Scorpion boat party only reached the coast of Western Australia on 20 April—they were finally picked up by Catalina on 22 April. In Perth the next morning, Jeudwine and others reported the party of evaders waiting (as they thought) at Kambangan Island. Returning from patrol, USS Sturgeon reached the cove close to Tjilatjap, surfacing there on the night of 28 or 30 April 1942. Risking a landing party, the submarine’s boat swept the beach by searchlight to find nothing but a deserted shelter. Sturgeon reached Fremantle safely a week later. In captivity, Harry Wright somehow managed to keep a diary of sorts. Held today by his son David, the diary is written in neat ink on Dutch Army muster book sheets, remarkable for their clarity and neatness. Wright, with his carpentry skills, was able to wangle the essential Censor’s stamps on his booklet, by agreeing to make one of the guards a dog kennel. In Tjilatjap, he was hospitalised for five weeks before being sent to No 3 PoW Camp at Bandoeng on 17 June 1942. Like other FEPoWs, he was sent from pillar to post by the Japanese as forced labour. In September 1943 he spent time in Cycle Camp at Bandoeng but was soon sent to Changi, and from there to Indo-China aboard Matue Maru (sunk by USS Harder on 17 April 1944). By 6 November 1943 Harry Wright had reached Formosa, en route to Japan. He arrived in Honshu on 14 November 1943 and lasted out the war in Japan. Christmas 1942 at Bandoeng he later recalled as "very good" but at Wakayama in Japan things were very different. He described Christmas 1943 and 1944 there as "very bad". When the Japanese at long last surrendered in August 1945 he was at Ikuno. Sergeant Harry Wright left Yokohama aboard UST Oconto on 11 September 1945, bound for Manila. There he boarded HMS Implacable, to sail via Pearl Harbour to Vancouver. Crossing Canada by rail, at Halifax he boarded SS Ile de France on the last leg for home, reaching Southampton on 31 October 1945. Harry Wright died on 27 October 2001, aged 89. He had given his son David the leather writing case of his war mementoes just a week before. David contacted me about his father’s time with 211 Squadron in August 2012, just after the July website update. In 2013, he kindly went to much effort in making splendid scans of selected parts of his father’s notes and of the portrait which heads this piece. Thanks to David, all that made it possible for me to compile this narrative.